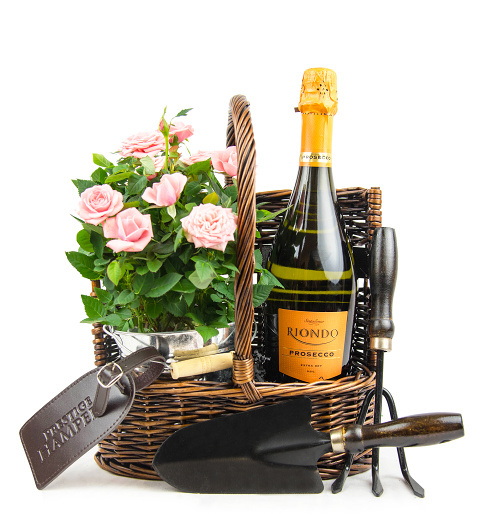 A Gardeners basket perfect to send the very of wishes for any occasion. Included in this handmade wicker basket are gardening tools with a beautiful roses plant. The gift wouldn't be complete without a special bottle of Prosecco to celebrate that special occasion in style!